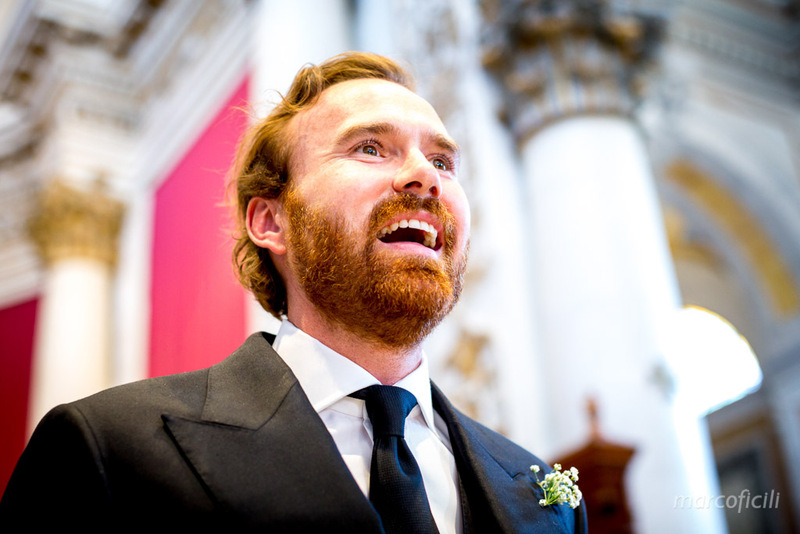 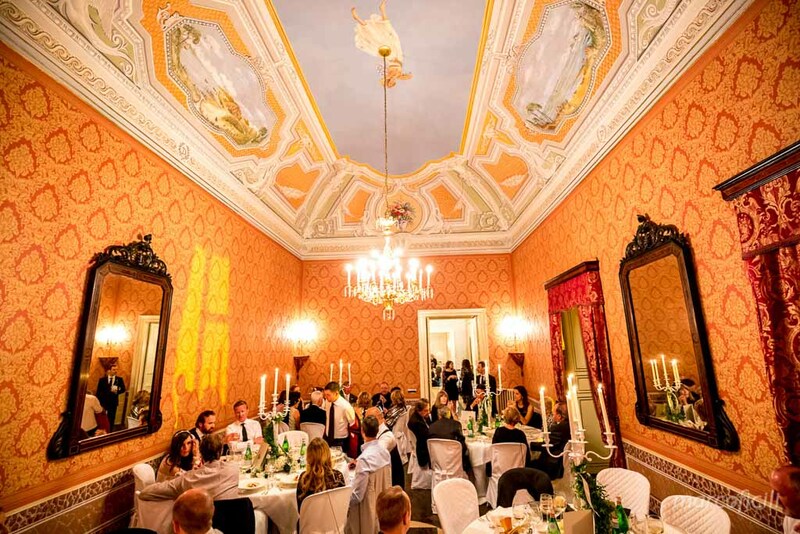 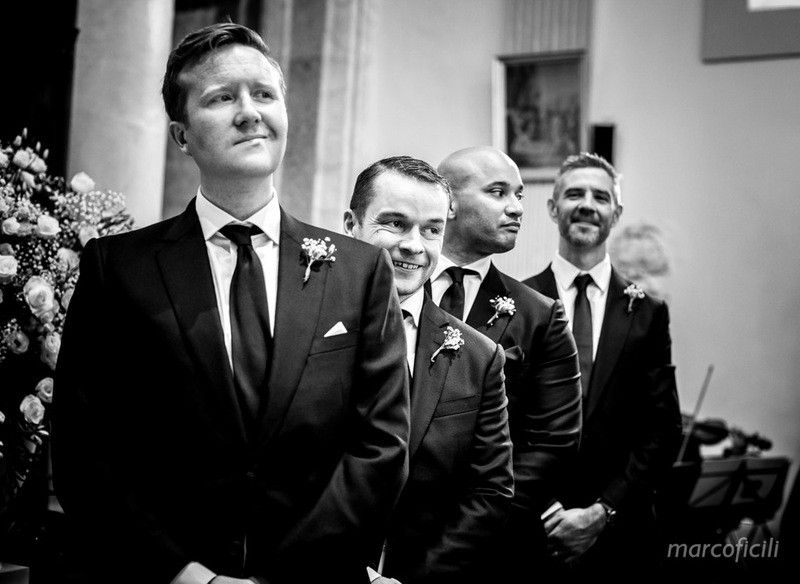 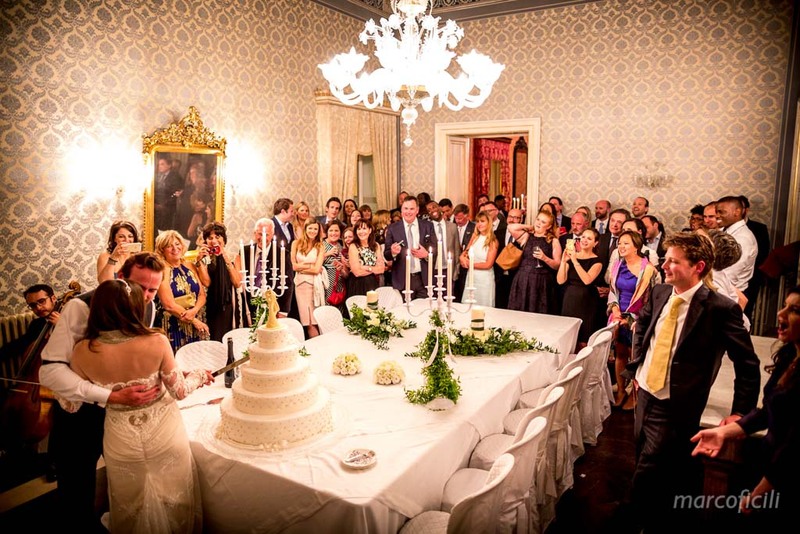 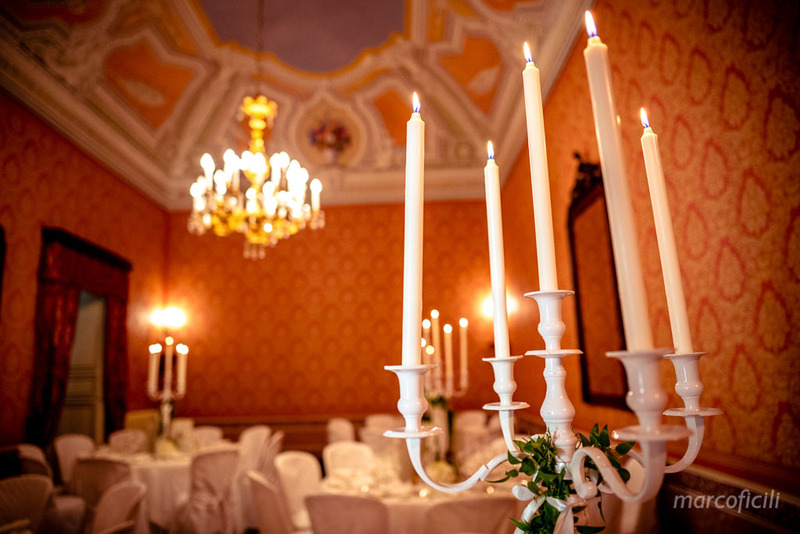 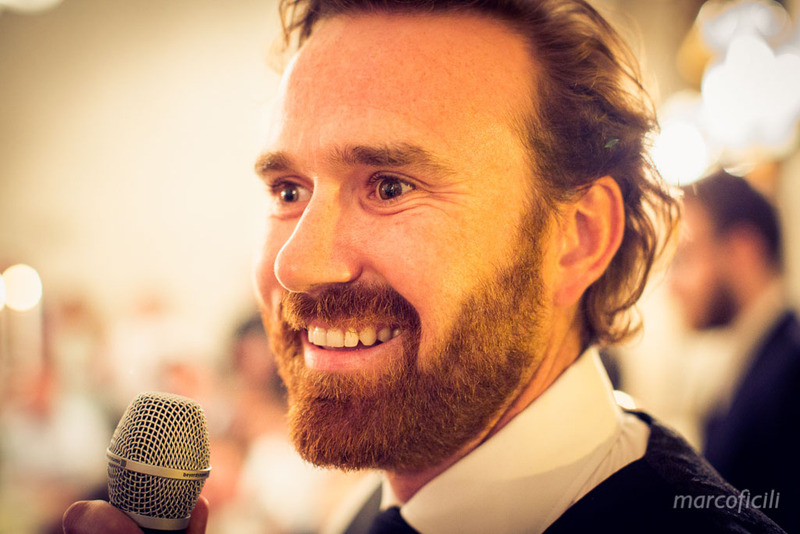 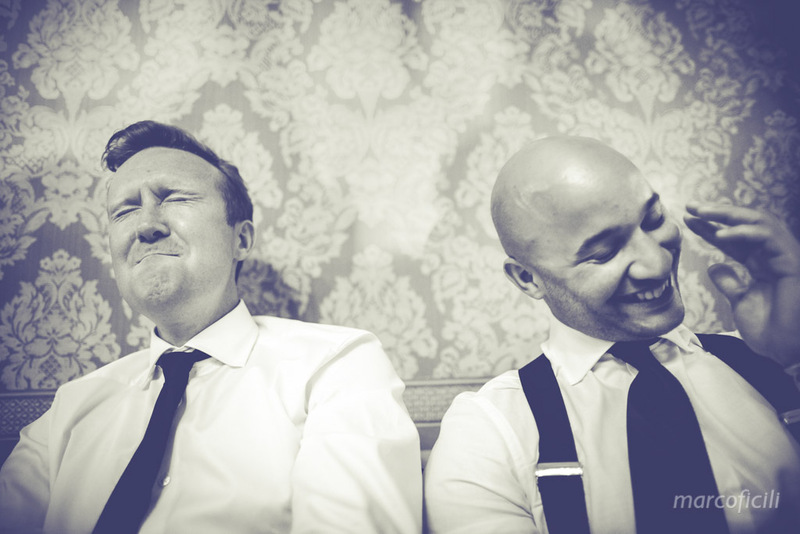 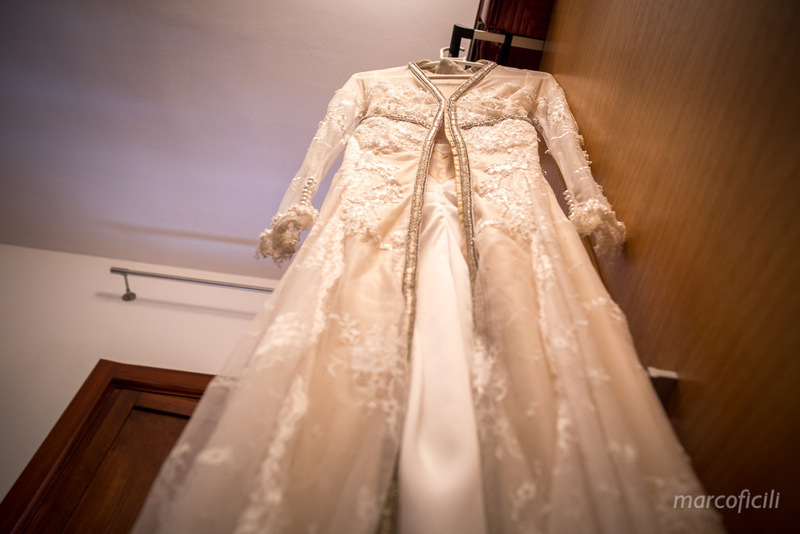 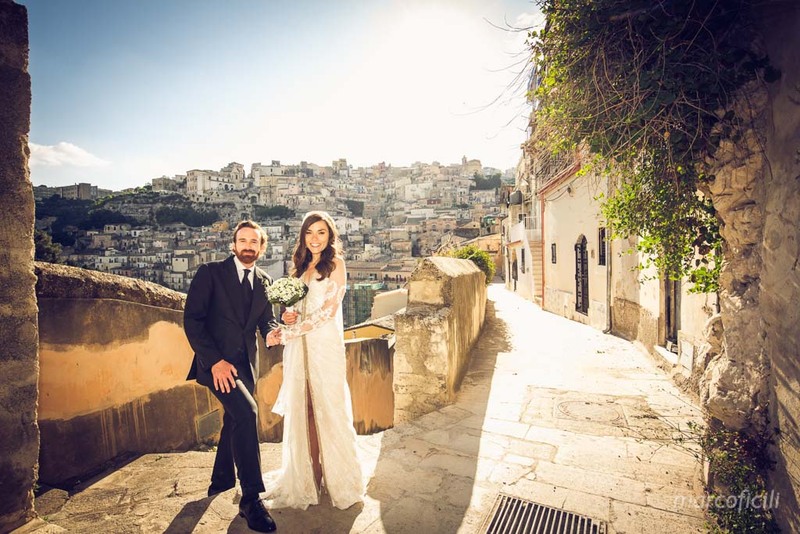 Wedding photographer Ragusa Ibla was Marco Ficili for Elizabeth and Noel. 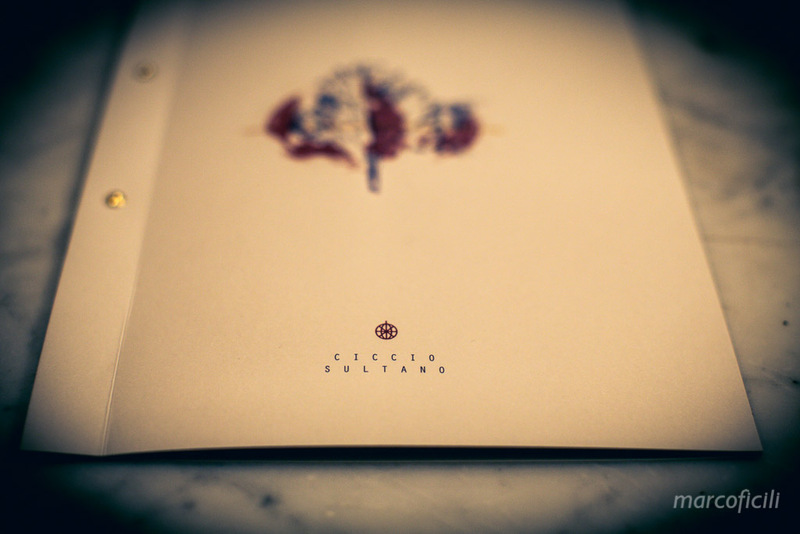 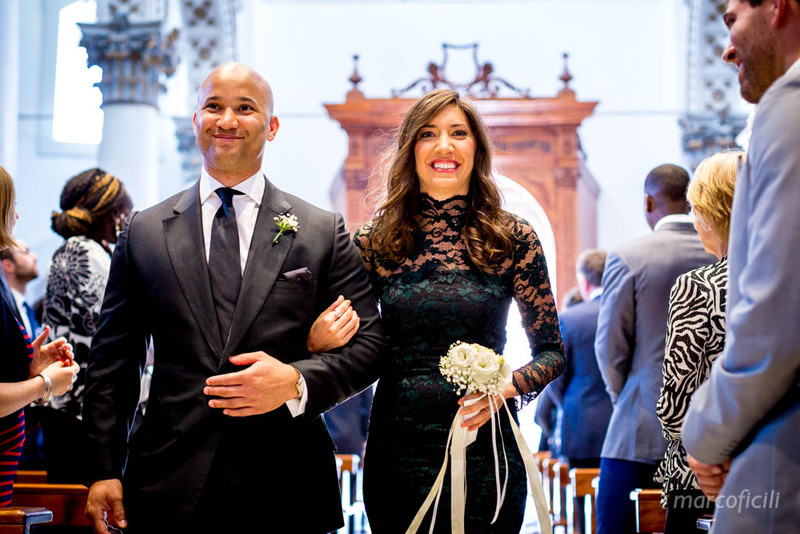 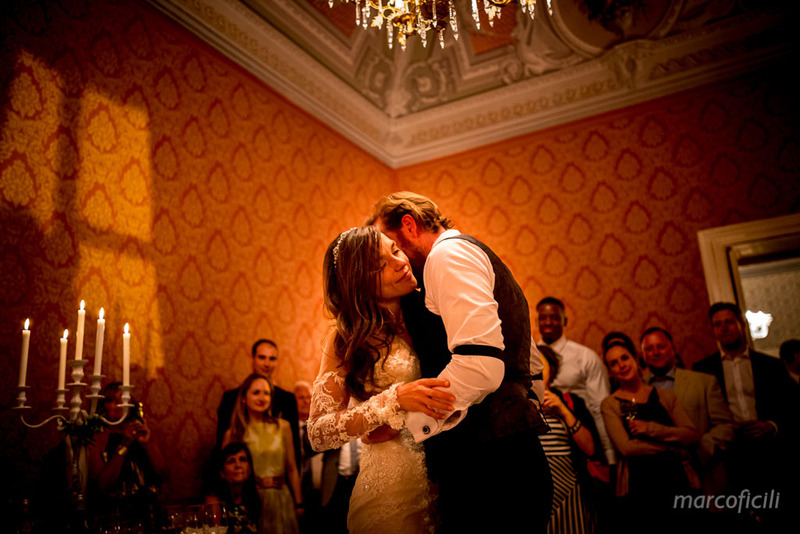 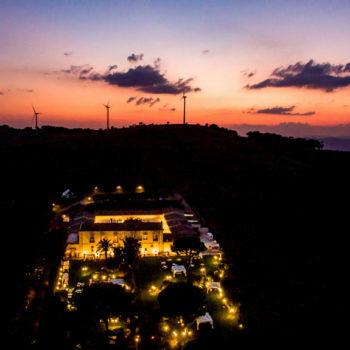 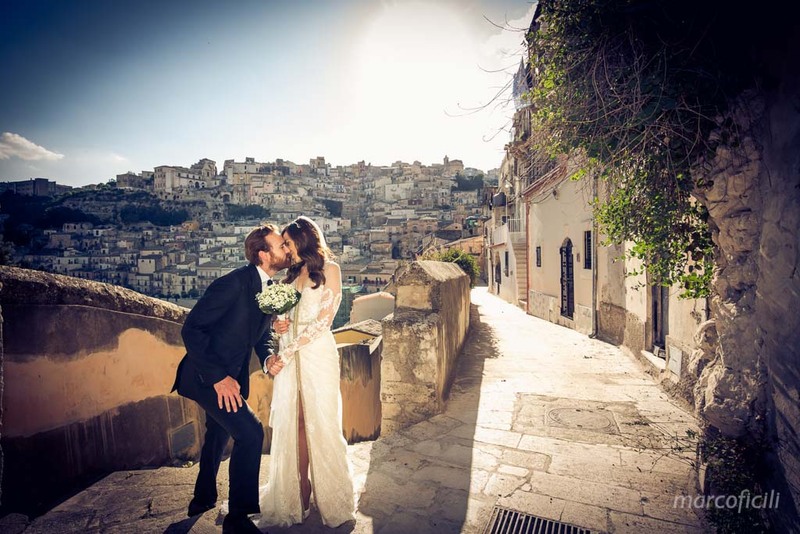 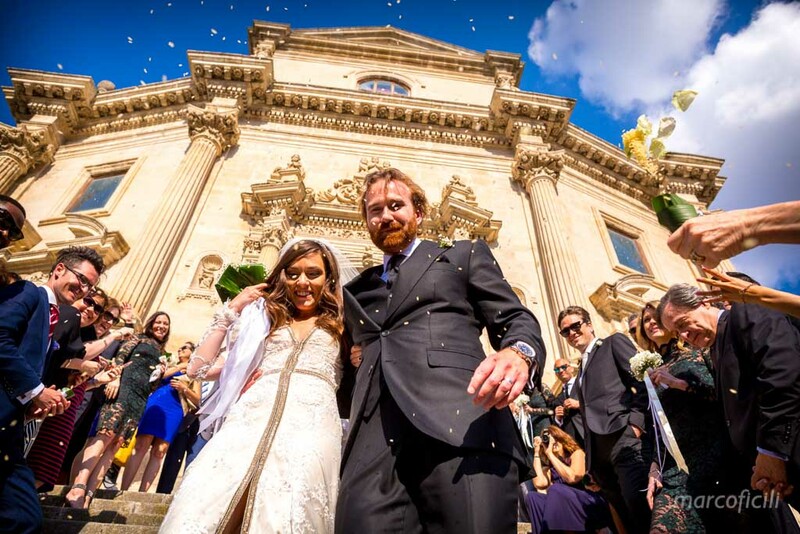 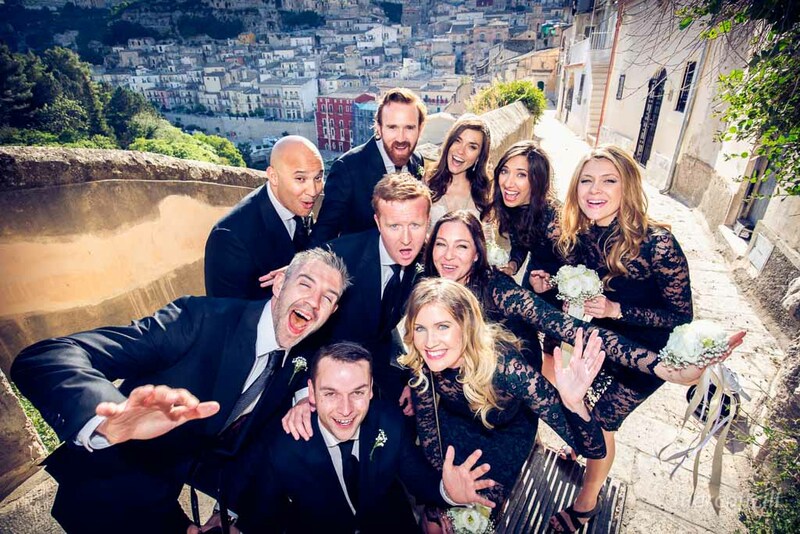 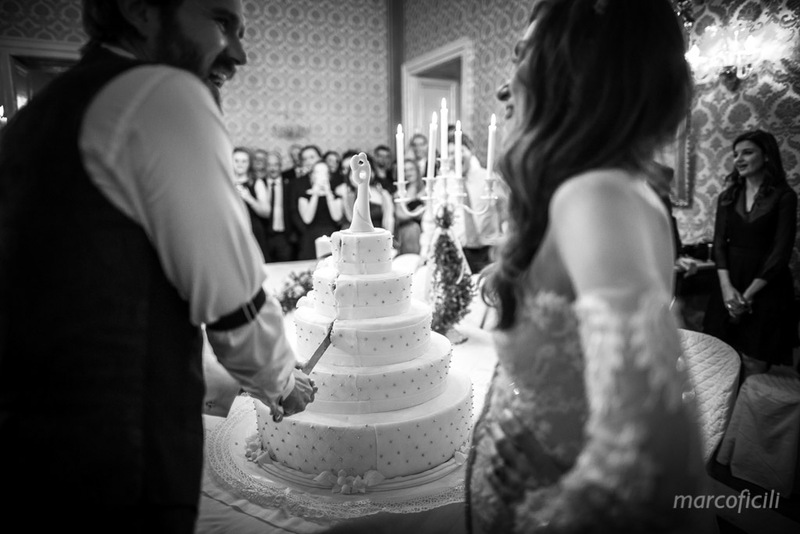 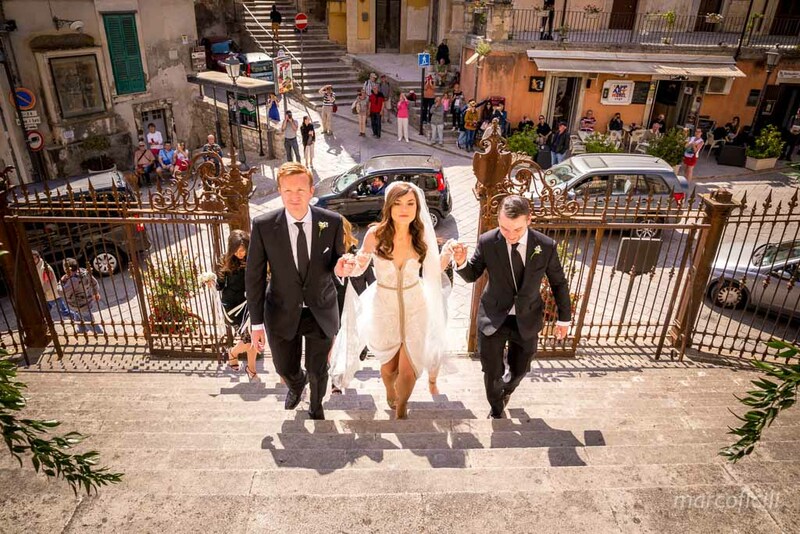 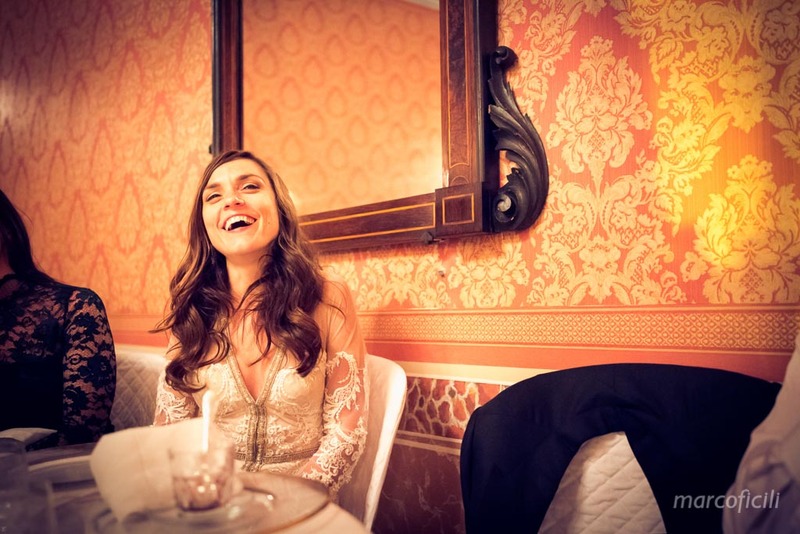 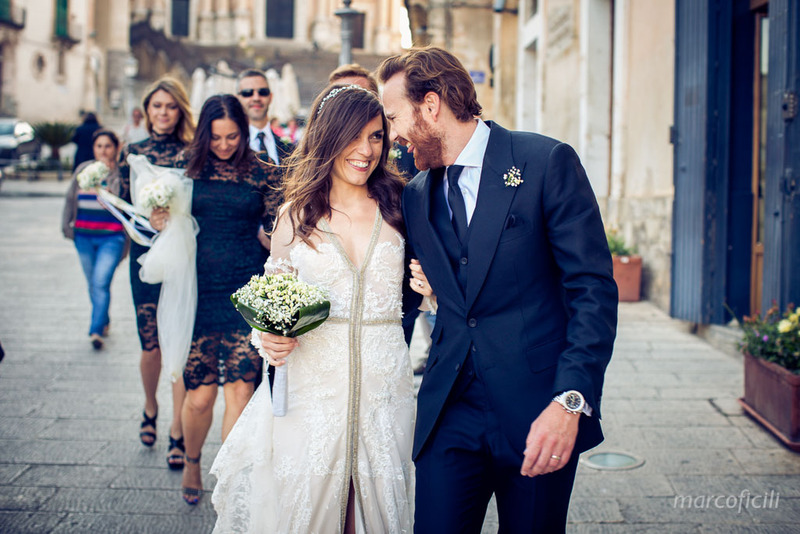 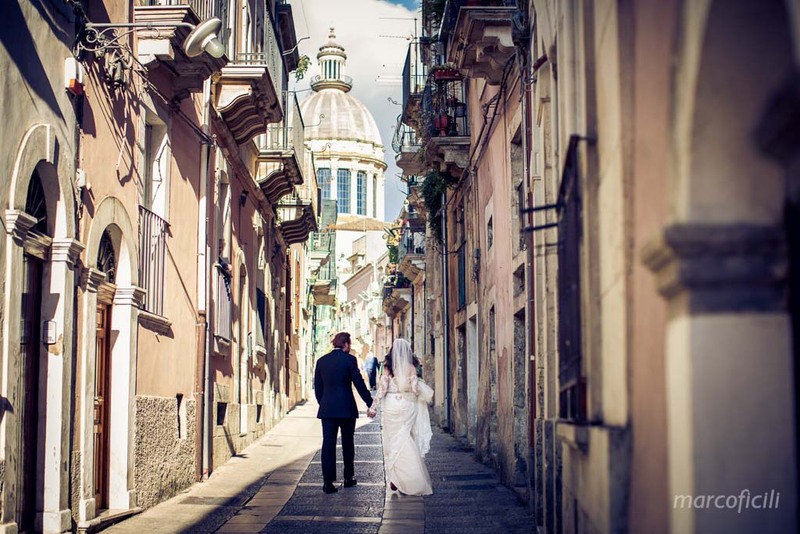 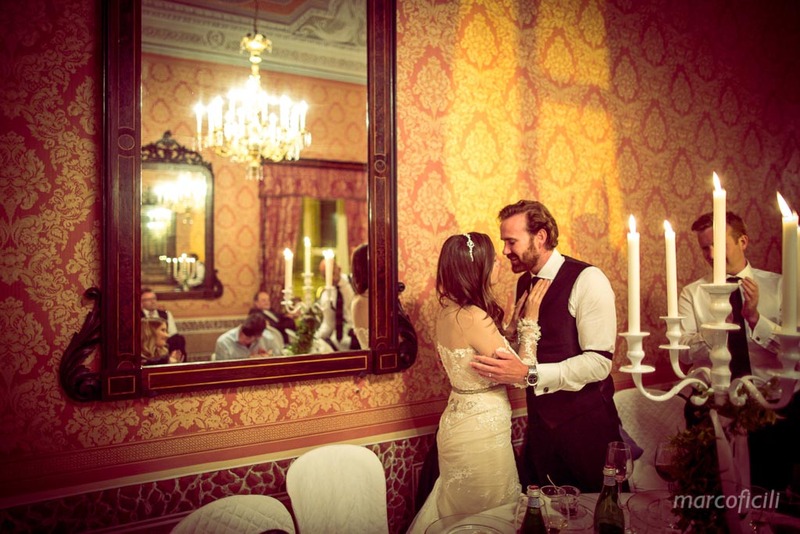 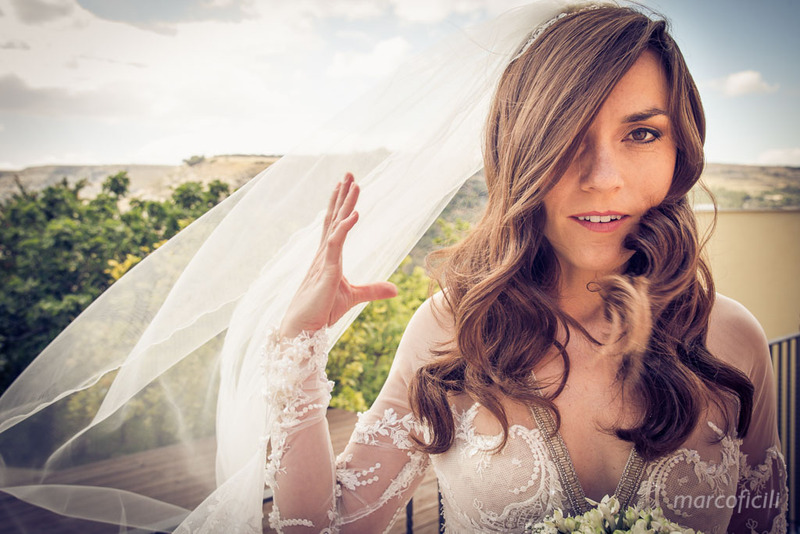 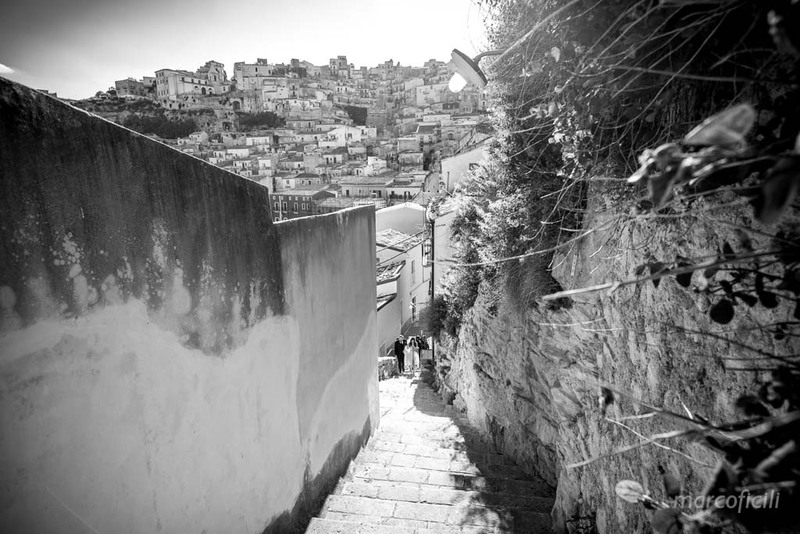 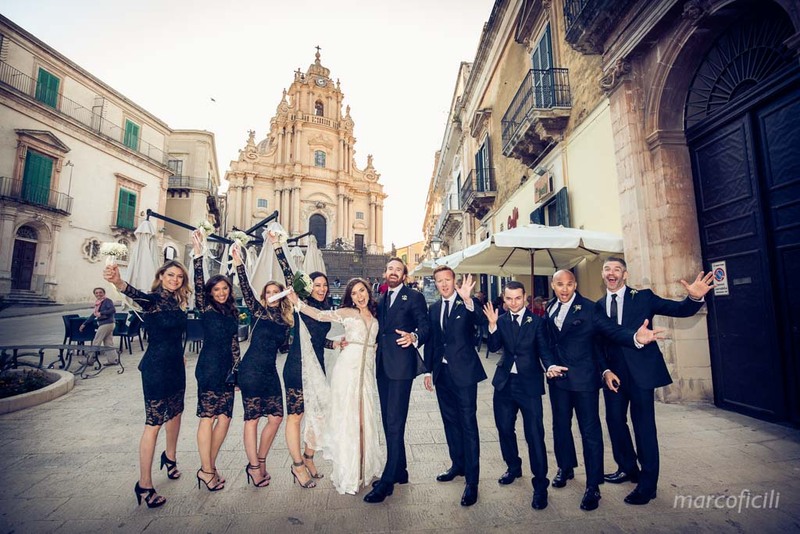 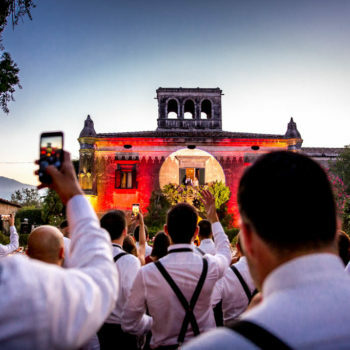 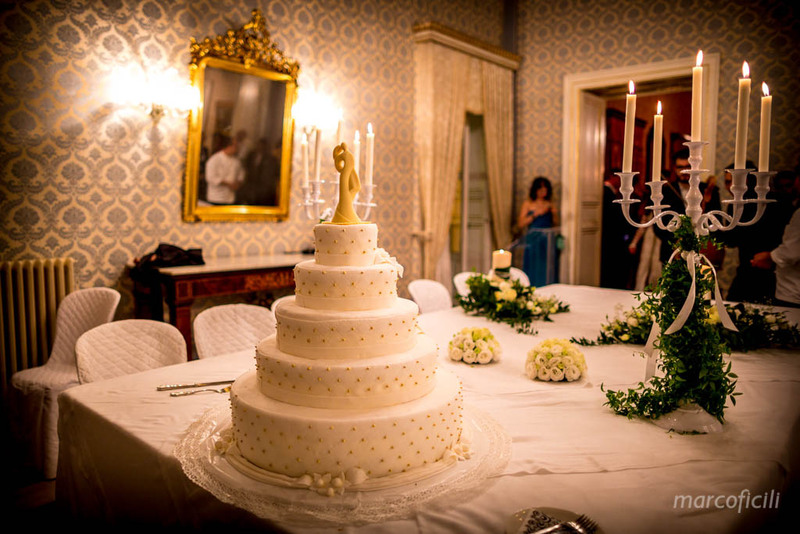 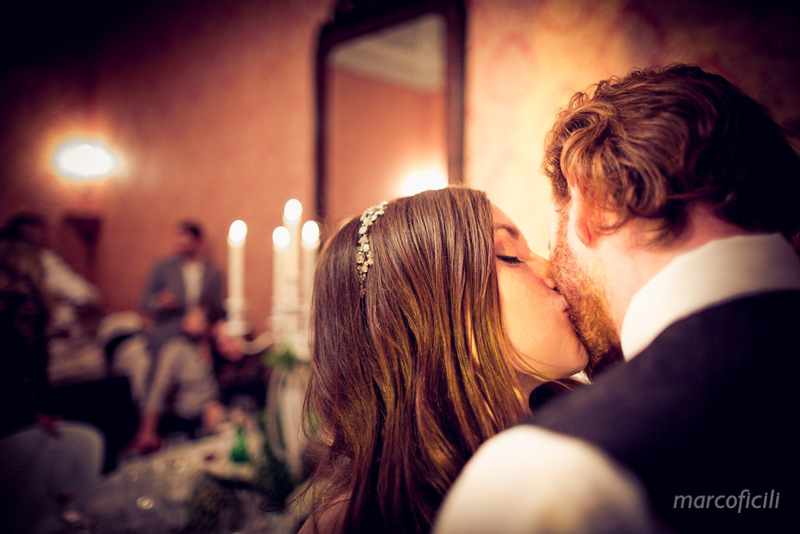 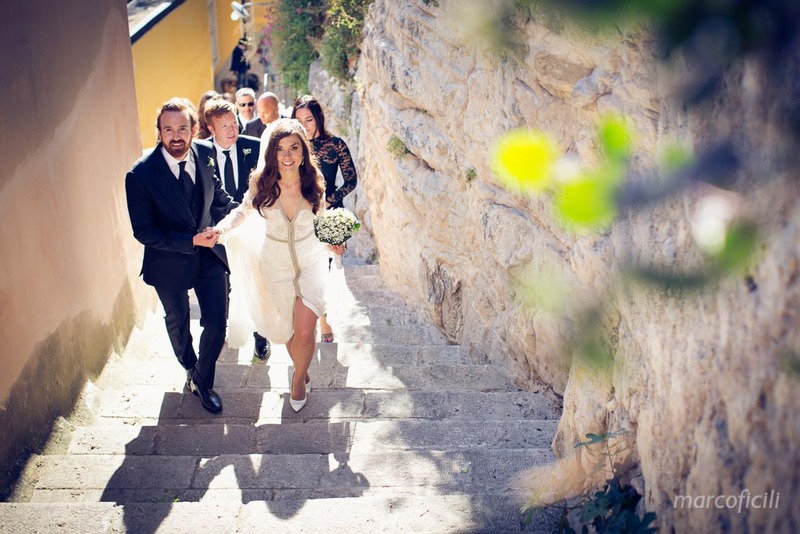 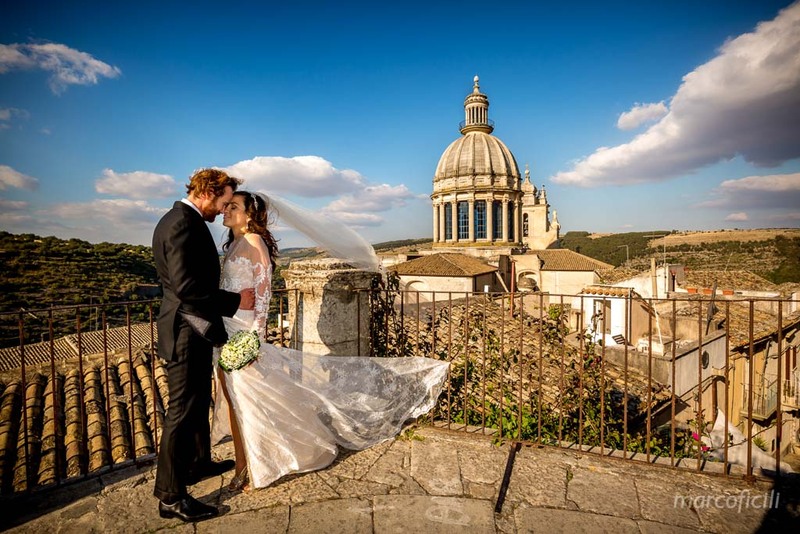 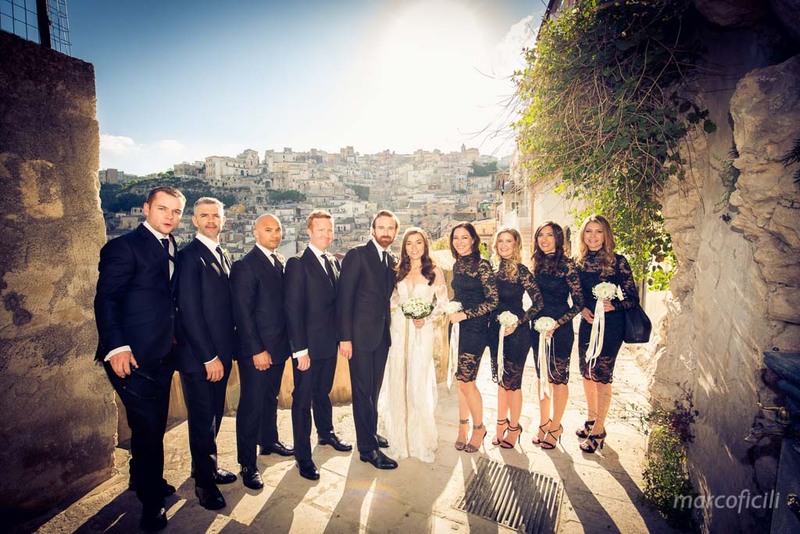 Their wedding in Sicily was like a dream come true, as they both love Sicily, especially Ragusa Ibla. 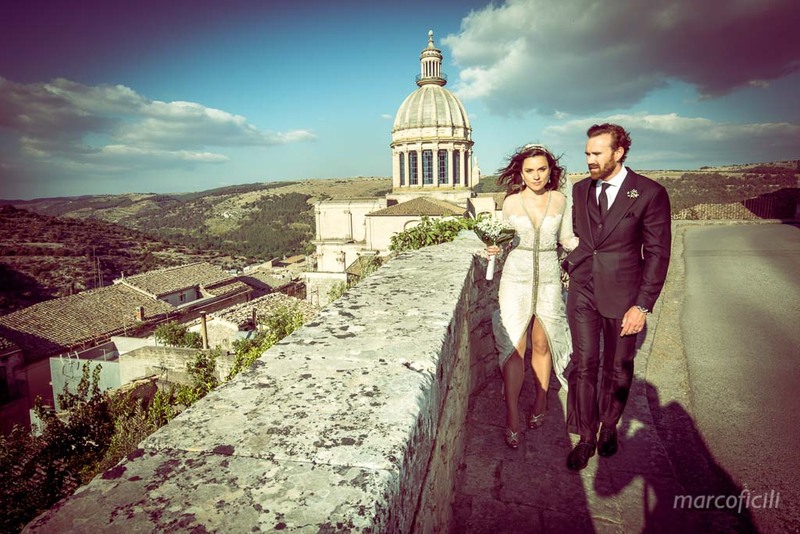 Elizabeth got ready in the wonderful “Giardino sul Duomo”, a beautiful place overlooking the antique Cathedral of Ragusa Ibla. 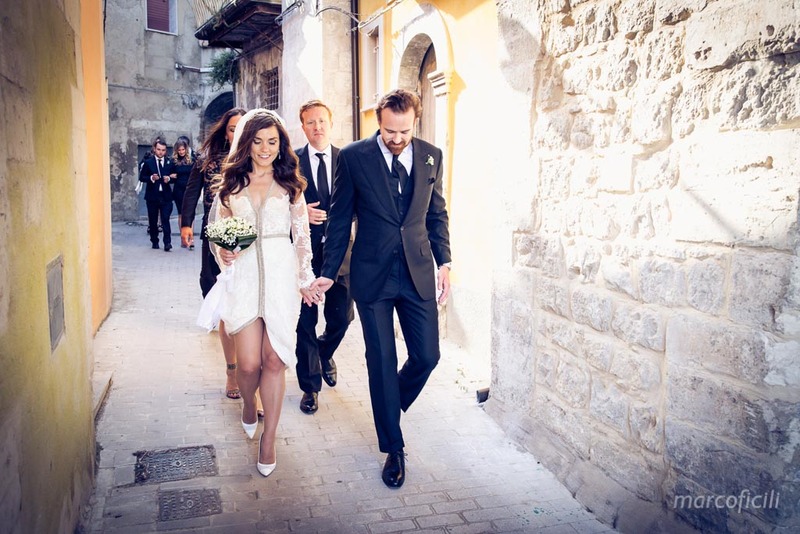 She was stunning in her glamorous white wedding dress! 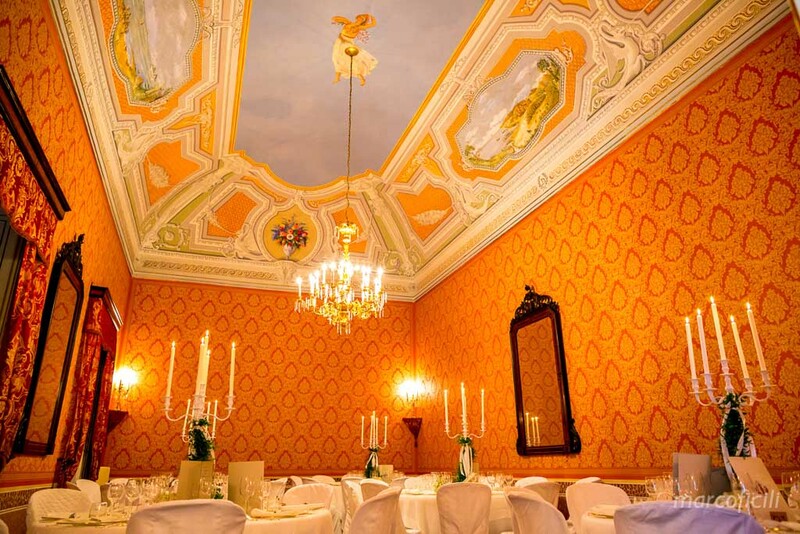 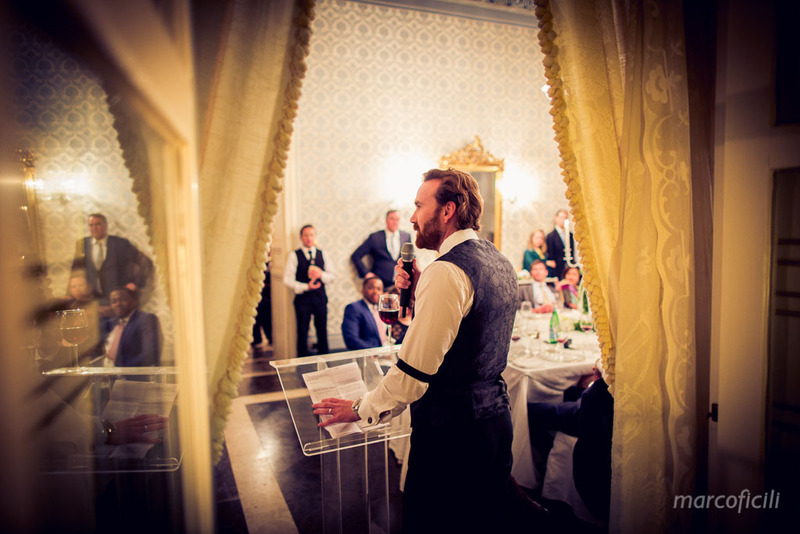 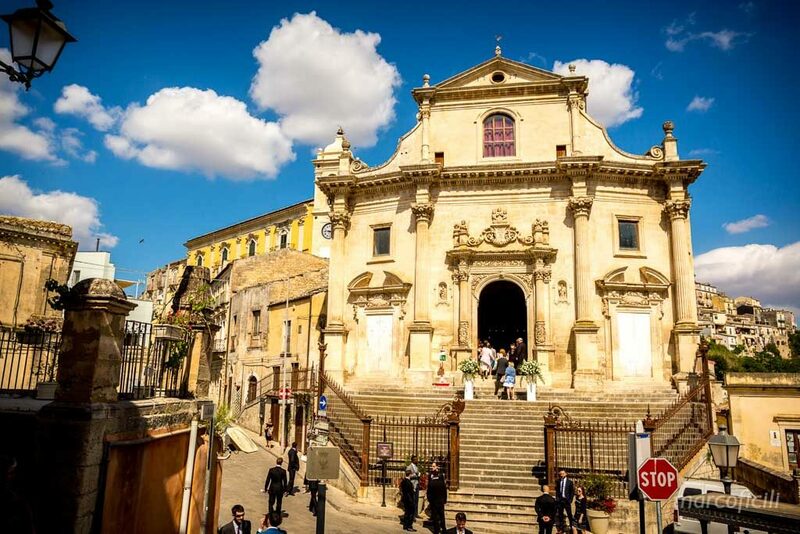 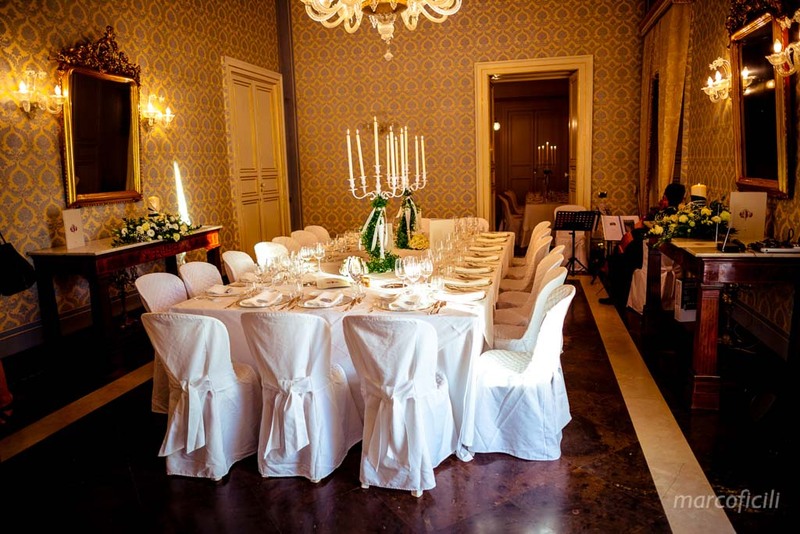 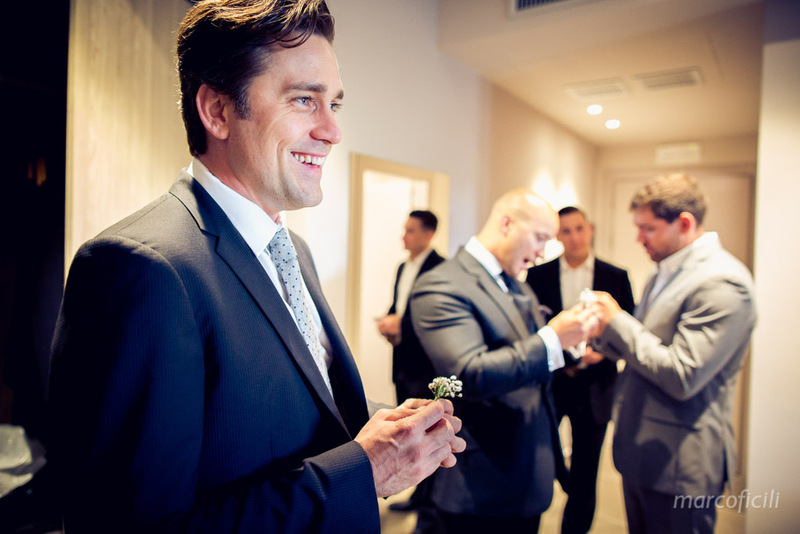 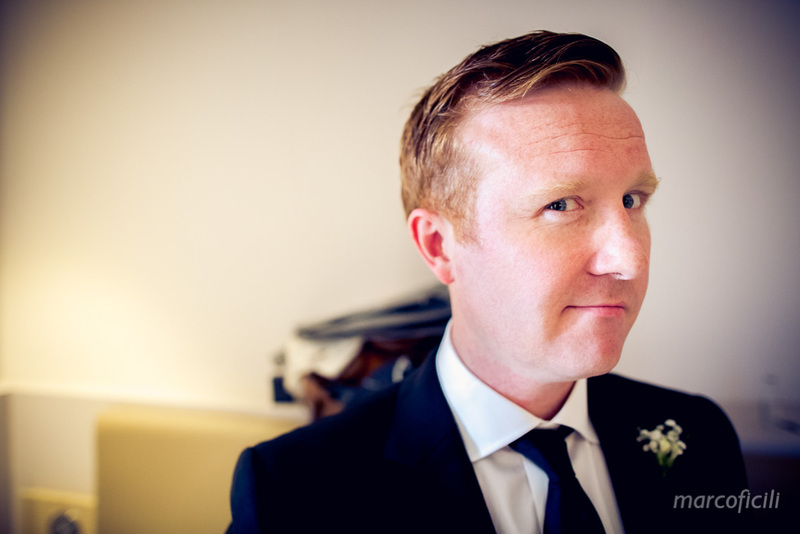 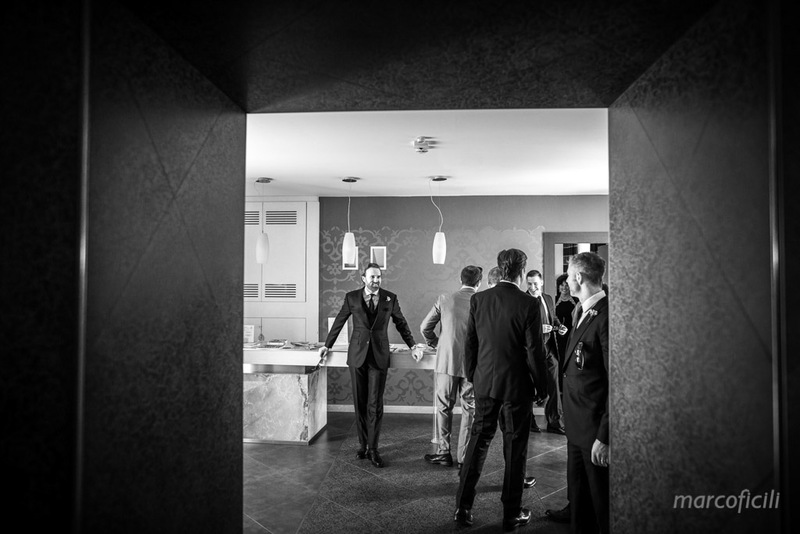 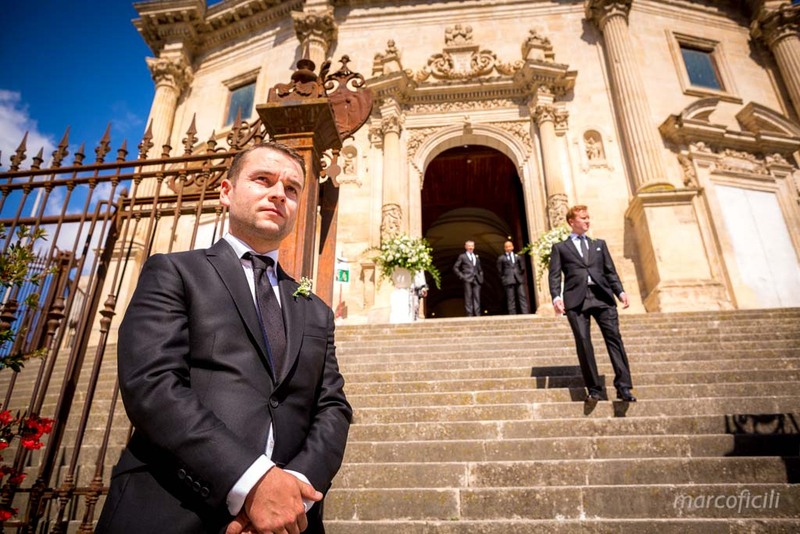 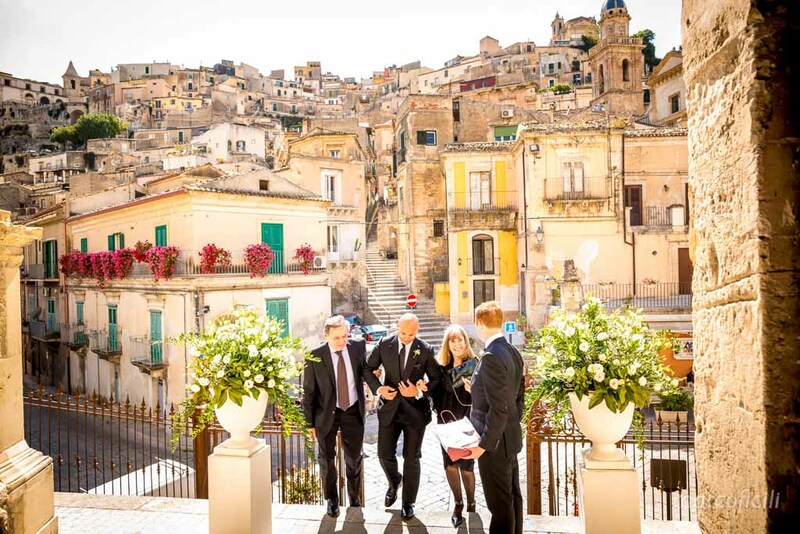 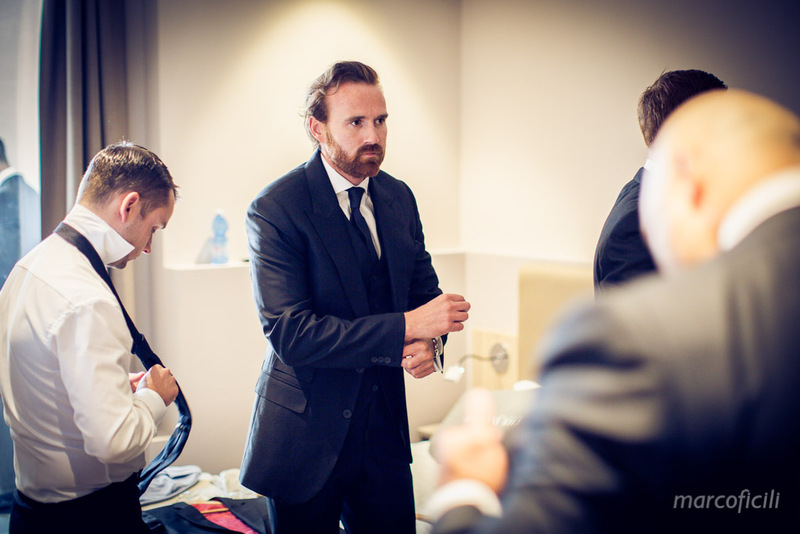 In the meantime, Noel and his groomsmen and best man, were getting ready at the San Giorgio Palace, a luxury hotel on top of Ragusa Ibla. 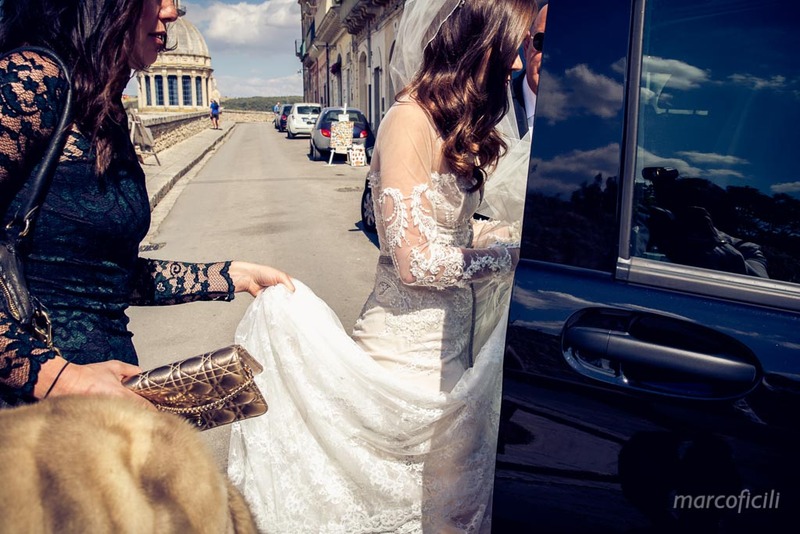 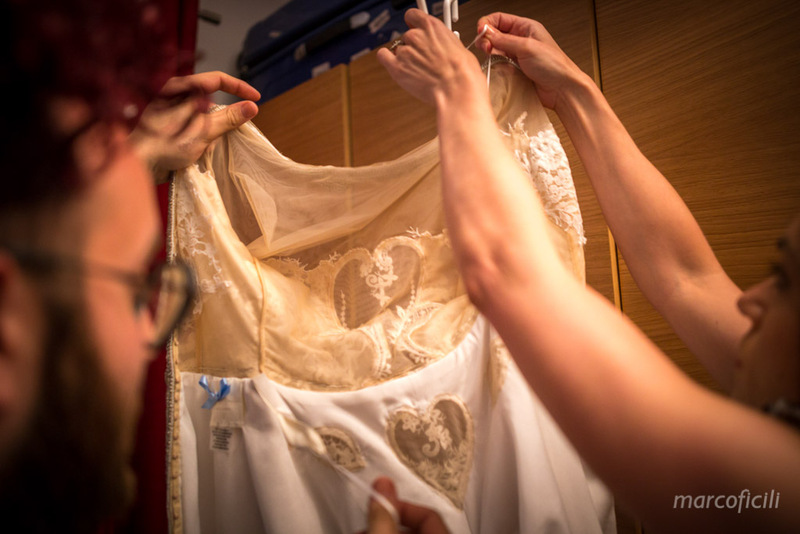 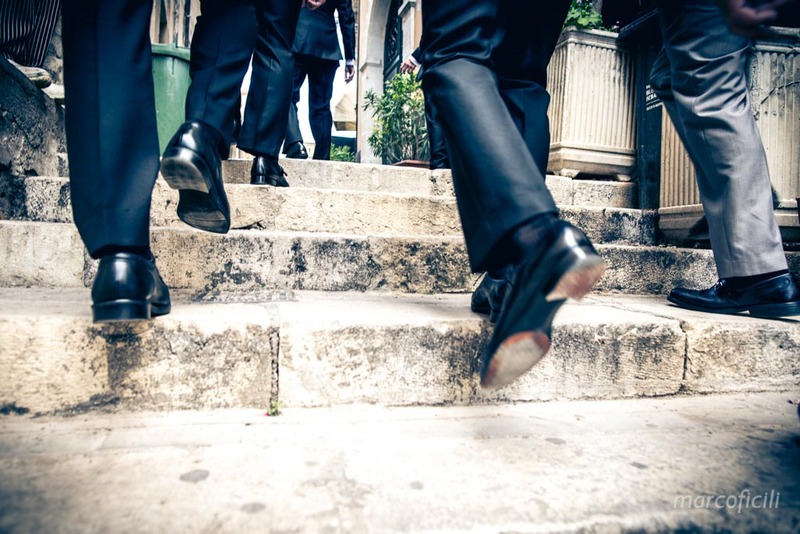 Elizabeth left the hotel with her proud father, together with her beautiful bridesmaids dressed in short, elegant lace dresses, to reach the church. 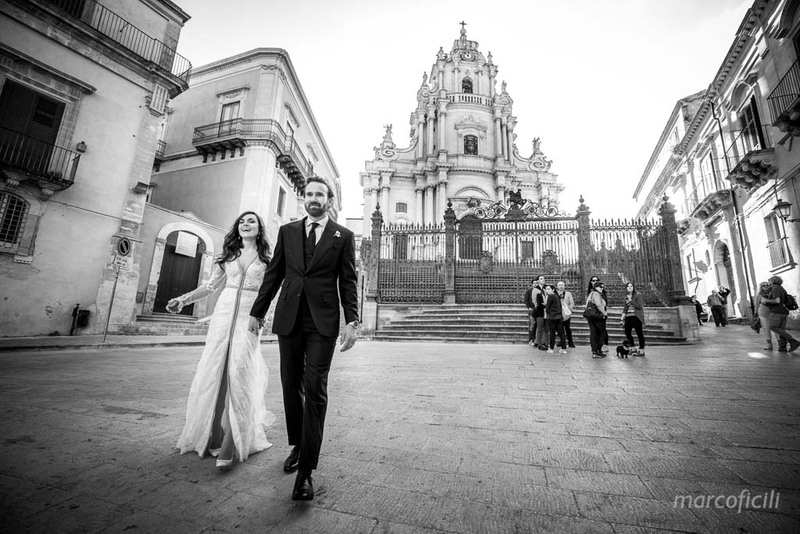 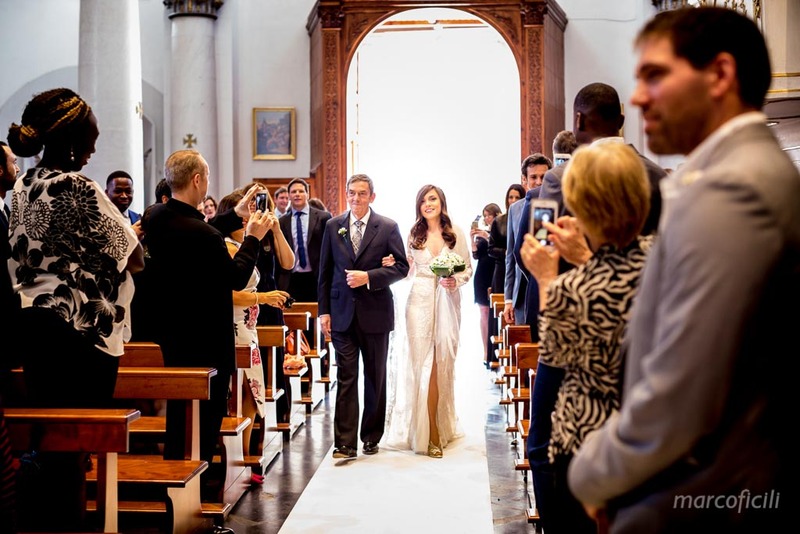 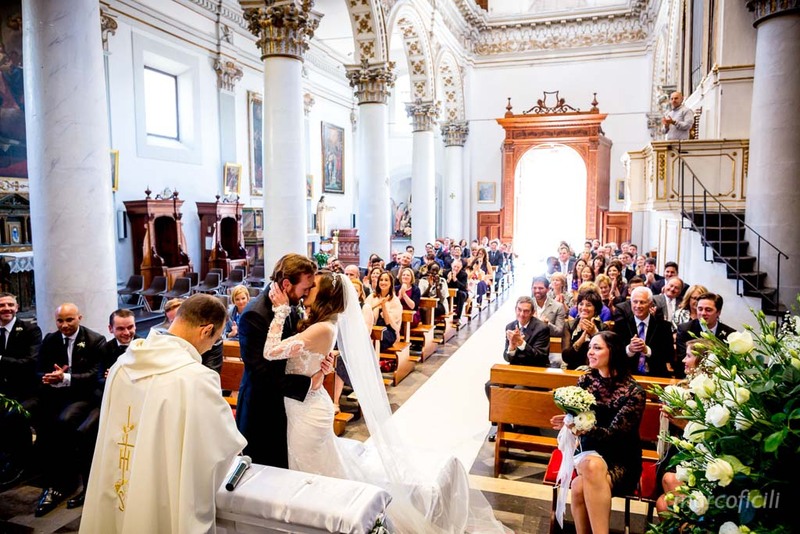 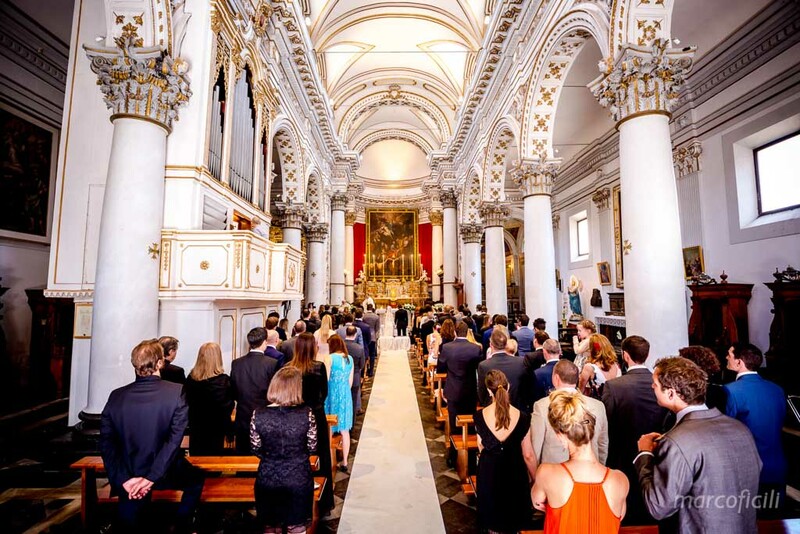 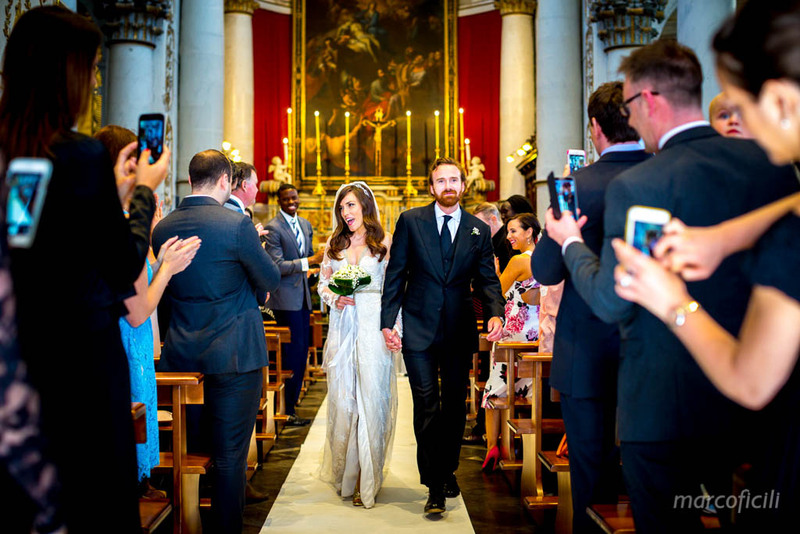 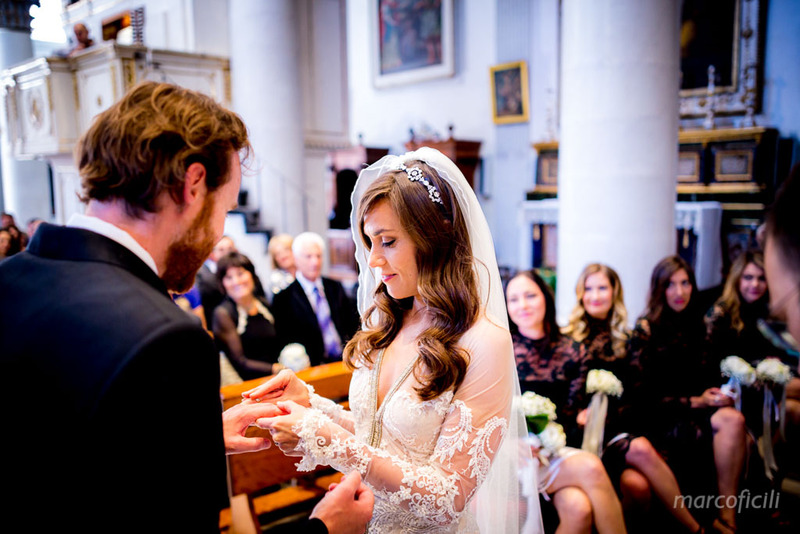 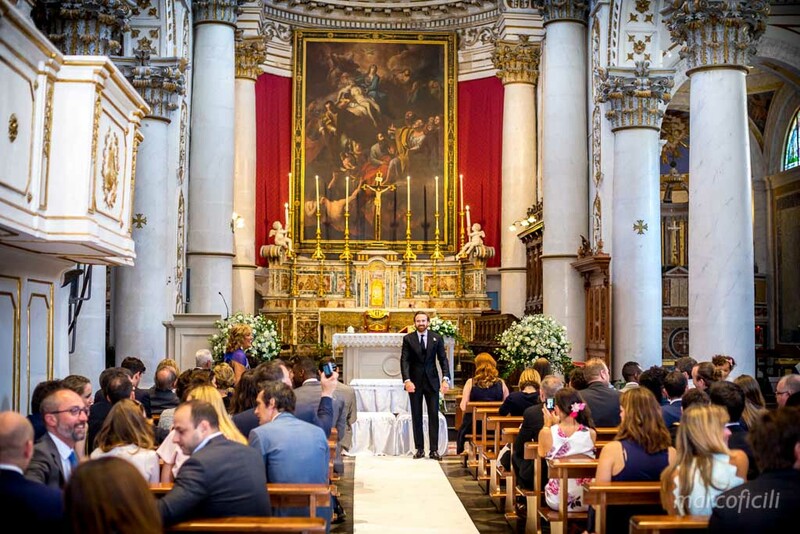 Elizabeth and Noel chose one of the most antique churches in town: “Chiesa SS.Anime del Purgatorio” for a truly Irish wedding in Sicily! 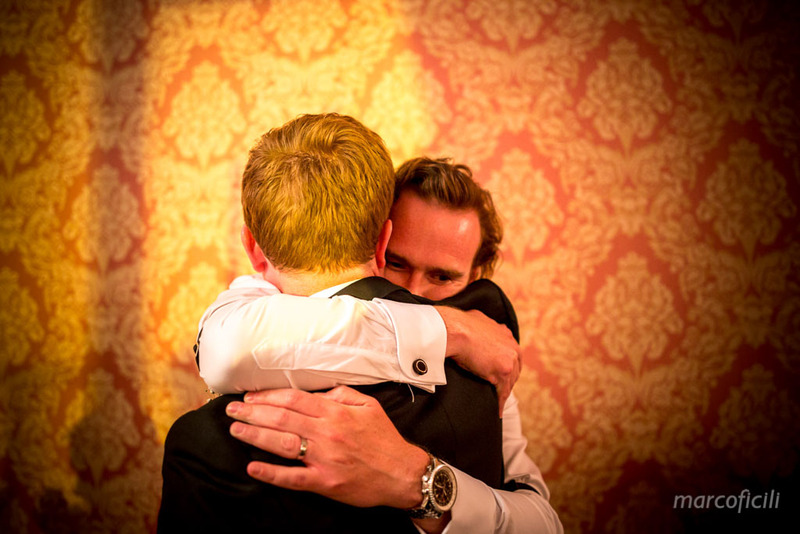 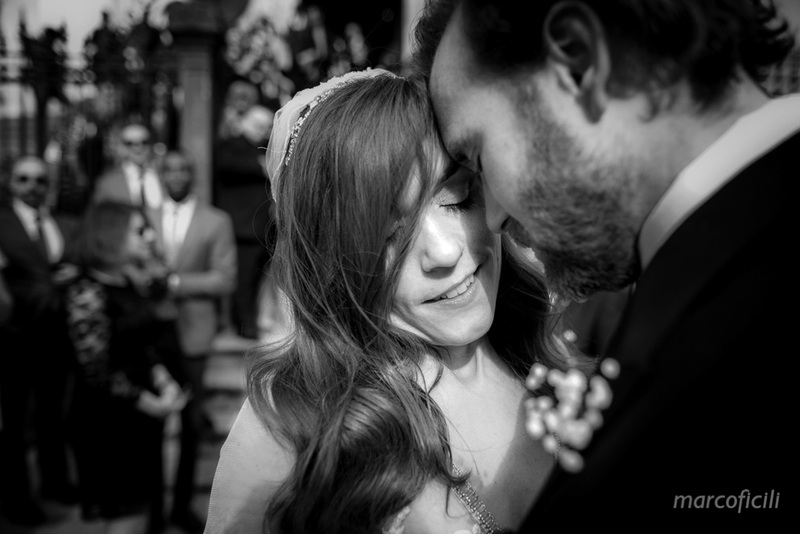 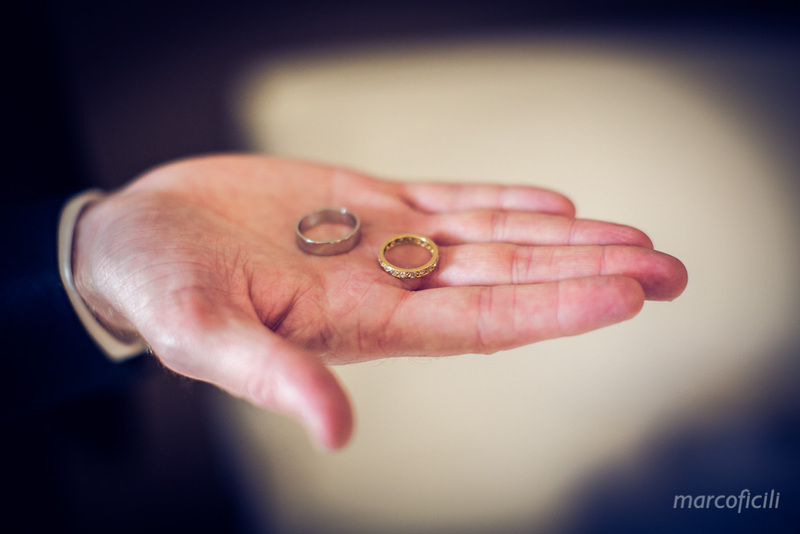 They celebrated their ceremony surrounded by family and friends. 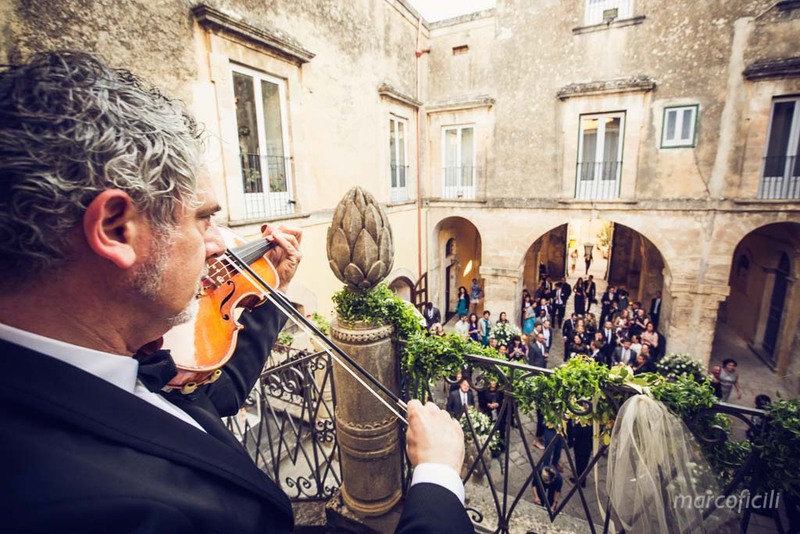 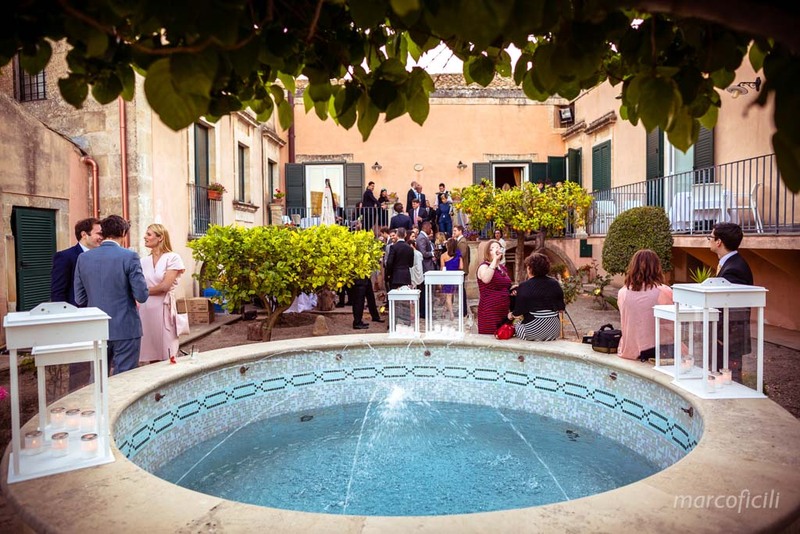 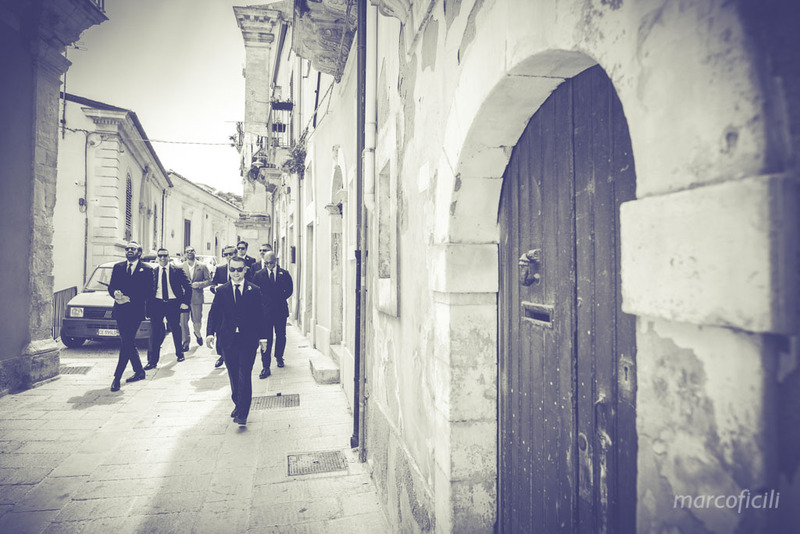 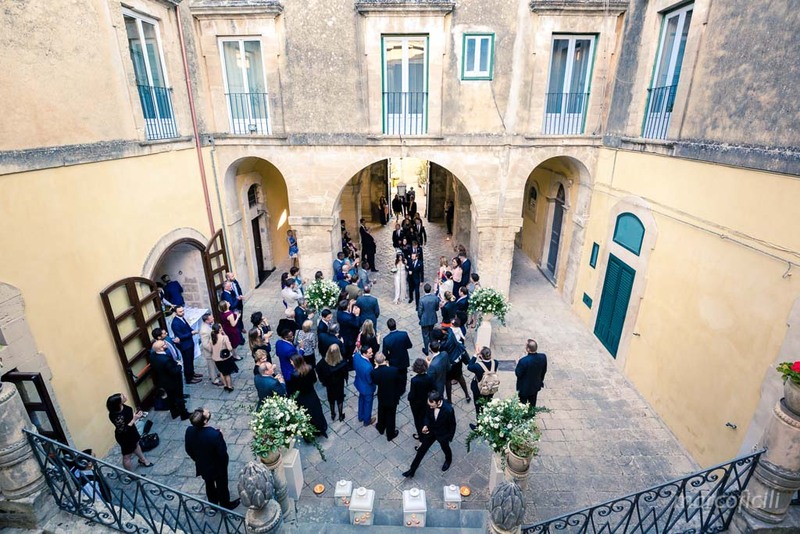 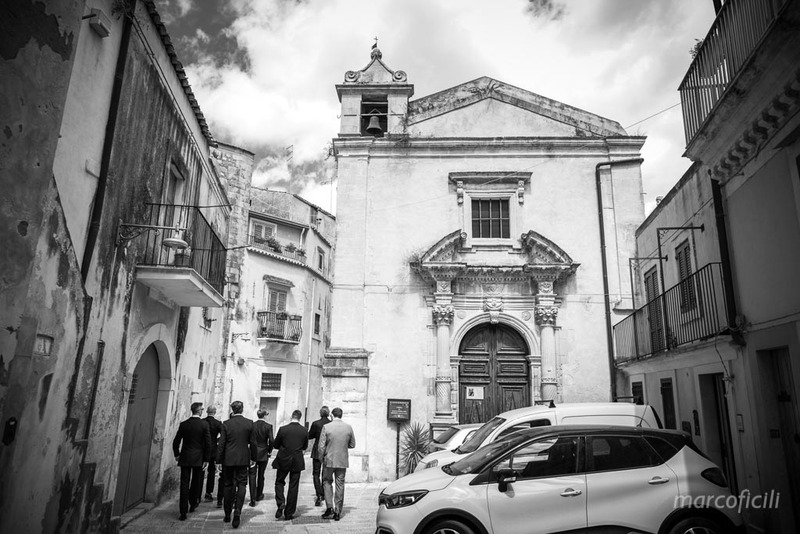 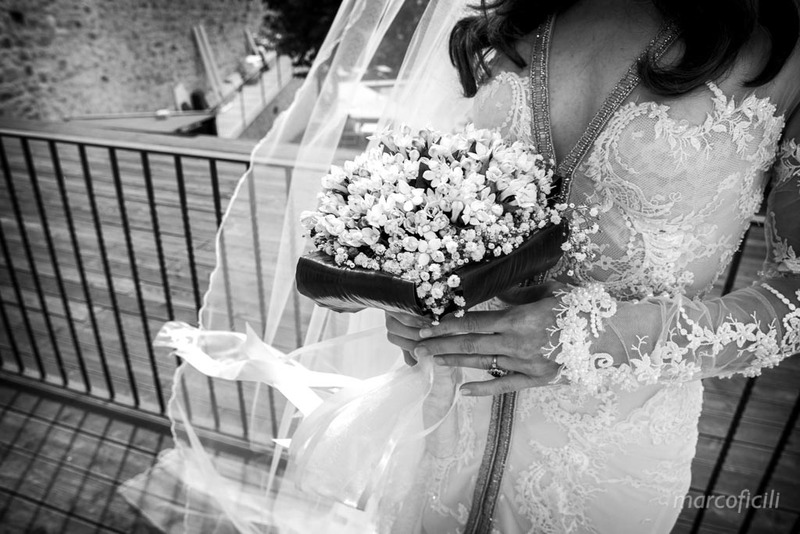 After the wedding ceremony, Elizabeth and Noel, together with their bridal party, walked through the narrow alleys of Ibla to reach “Palazzo di Quattro”, an antique building in the heart of Ragusa, welcomed by the lovely music of a violin, to celebrate their wedding party!